If 2017 was the year of fermented foods, 2018 is turning out to be the year of kombucha. While fermented foods, such as kimchi, pickles, sauerkraut, tempeh and kefir, are considered gut-friendly and healthful, kombucha can be viewed as the ultimate fermented drink. Read on to discover everything you always wanted to know about kombucha – even if you never heard of it before. Kombucha is an ancient fermented drink, sometimes referred to as mushroom tea. It has a mushroom color, tan and cloudy, with bits of something… well, weird, floating in it. That’s the “scoby,” and if anything will turn you off to kombucha before you even try it, it’s that. Once you get past the unattractive look of the scoby, you’ll find that kombucha is a sweet and tangy drink with a bit of fizz – a drink that is worth your while getting to know. Kombucha, kimchi, and other fermented foods have long been part of diets in various parts of the world, but only now are they appearing in the West as the food of the hour. 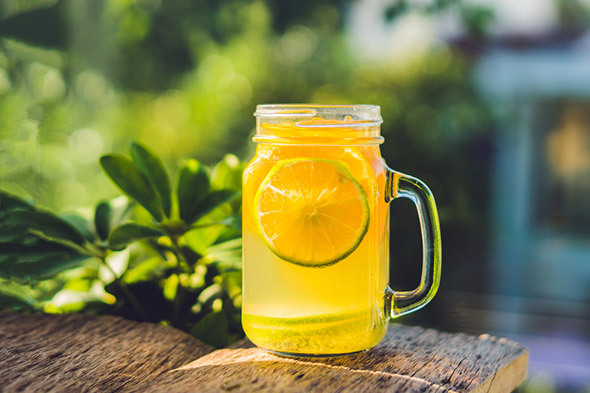 Kombucha is tea that has been fermented from 1 to 3 weeks; it consists of black tea and sugar (from various sources, including cane sugar, fruit or honey) and it is considered to be one of the most effective probiotic drinks out there. It contains an army of bacteria and yeast that are responsible for initiating the fermentation process once it is combined with sugar. The word “kombucha” means “kelp tea” in Japanese, though in Japan itself kombucha is a mild tea (rather than a fizzy, fermented beverage.) Some people call kombucha “booch,” and that’s the term that’s been catching on with those in the know. Kombucha is thought to have originated in the Far East and was consumed there for at least two thousand years; it has also been used in Eastern Europe and Russia for several centuries. The first recorded use of kombucha was in China in 221 BC during the Tsin Dynasty. 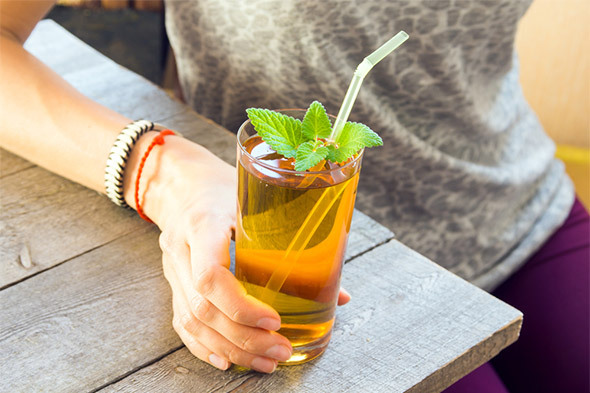 It was known then as “The Tea of Immortality.” The word kombucha is said to have come from Japan in 415 AD when a physician by the name of Kombu treated the Japanese Emperor Inyko with the tea. It took his name, “Kombu,” and the word “cha,” which means tea in Japanese. Russia has a long tradition of using a healing drink that is similar to kombucha, called “Tea Kvass,” which is made from what Russians referred to as Japanese mushrooms. 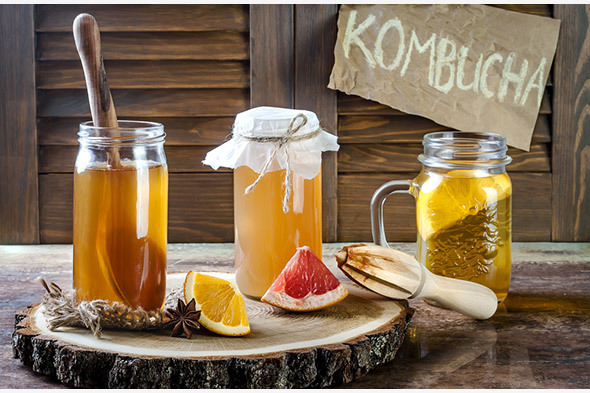 The Kombucha Home website discusses the differences between kvass and kombucha, explaining that while both are lactic acid bacteria ferments, kombucha’s microbial balance includes naturally occurring yeasts, while kvass is dominated by bacteria. 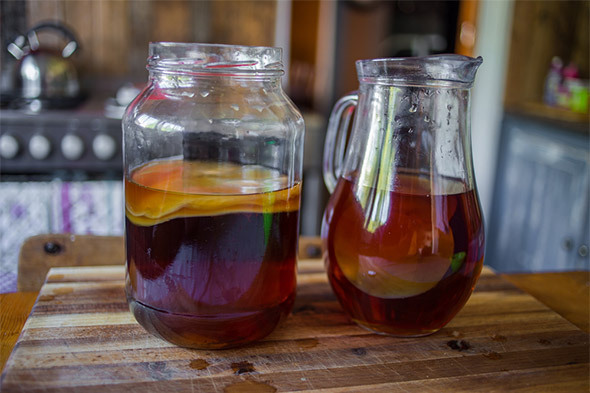 Another big difference is that kvass doesn’t require a starter culture, like scoby. In 400 BC, Hippocrates said, “All disease begins in the gut,” and his words are truer today than ever. Known as the “immortal health elixir” by the Chinese, kombucha’s health benefits extend to the heart, brain and (especially) the gut. After fermentation, kombucha becomes carbonated and contains vinegar, B vitamins, enzymes, probiotics and a high concentration of acid. These bacteria produce cellulose, which acts as a shield to cells. Just as bacteria and yeast have a natural place in kombucha, so do sugar and alcohol. During fermentation, the yeast eats the sugar, creating carbon dioxide – the fizz – and a trace amount of alcohol. Most of the sugar gets eaten by the bacteria during fermentation, usually leaving just a few grams. Anyone who loves fizzy drinks can swap kombucha for soda thus lowering their sugar intake and boosting their probiotic ingestion. Kombucha is now abundantly available commercially. Sixteen-ounce bottles cost around $4, and you can find “booch” in your supermarket’s refrigerated section. Kombucha brewers are competing to create more flavors and add more active cultures because, with the market so hot, kombucha’s natural probiotics are no longer enough. However, pasteurized kombucha has a questionable effect, as the bacteria killed during the pasteurization process is what can help your gut function more efficiently. “Pasteurized kombucha” should probably be called “kombucha-flavored tea” because the benefits of healthy bacteria are lost during that process. In addition, even commercial “unpasteurized kombucha” that is left on the shelf for too long can be problematic as the alcohol content (which was initially below .5 percent for most products) may rise somewhat. So, be sure to purchase your kombucha from trustworthy sources and drink it within a relatively brief time after purchasing. If you make kombucha at home, the same rule applies. 1 large glass or metal jar or bowl with a wide opening. Avoid using a plastic jar or bowl because the chemicals in the plastic can leach into the kombucha during the fermentation period. Ensure that the opening is wide enough to allow oxygen to reach the kombucha while it ferments. 1 large piece of cloth or a dish towel. Secure this material around the opening of the jar with a rubber band. Do not use a cheese cloth, as it allows particles to pass through. Bring the water to a boil in a big pot on the stovetop. Once boiling, remove from heat and add teabags and sugar, stirring until the sugar dissolves. Allow the pot to sit and the tea to steep for about 15 minutes, then remove and discard tea bags. Let the mixture cool down to room temperature. Add the tea mixture to the big jar/bowl. Drop in the scoby disk and 1 cup of pre-made kombucha. Cover the jar/bowl with cloth and secure with a rubber hand. Make sure that the cloth covers the opening of the jar and stays in place but is thin enough to allow air to pass through. Allow the kombucha to sit for about 7–10 days, depending on the flavor you’re looking to create. Less time produces a weaker kombucha that tastes less sour, while a longer sitting time allows the kombucha to ferment even longer and develop more taste. Taste test the batch every couple of days to see if it has reached the right taste and level of carbonation for you. Once you’re happy with the taste, put your kombucha into smaller glass bottles that fit in your refrigerator and refrigerate the kombucha for at least 24 hours to allow it to cool and finish carbonating. The longer you refrigerate it before opening, the fizzier it will be. You can use your scoby disk again to make more kombucha but if you want to take a break from brewing, store your scoby in a tightly sealed container in the refrigerator along with enough fresh starter liquid to start another brew. The scoby disk can stay viable in the fridge for up to three months. The recipe above is for basic, unflavored kombucha. You can try adding unique flavors like fresh-squeezed lemon or lime juice, blended berries, or fresh-squeezed orange, pomegranate, or cranberry juice. Do this after the kombucha has fermented and is ready to drink, or a day or two before it’s done, so the flavor can intensify. Either way seems to work well. When bottling kombucha, don’t fill the bottle completely – leave at least an inch of space at the top of the bottle, which allows for carbonation. It’s important never to shake a bottle of kombucha as that would pose a risk of the bottle exploding. In addition hold your hand over the lid as you open it, to prevent the cover from popping off. Be sure to refrigerate your kombucha to extend its shelf life. If you’ve added flavoring, keep in mind that fresh fruits, for instance, will go bad in the kombucha long before the drink. The side effects of Kombucha seem to be more of a risk when making homemade kombucha because contamination is possible, and the scoby disk and finished product haven’t been tested for quality like they are when manufactured commercially. If you’re going to brew your own, use sterile equipment, clean working spaces and high-quality ingredients. Kombucha has been around for millennia and touted as a wondrous health elixir. While nothing is a “miracle cure” for disease, kombucha has a large number of benefits — due to the live cultures it contains. The powerful antioxidants in kombucha contribute to its anti-inflammatory, gut-healing and even potential anticancer properties. Making your own kombucha takes time and there is a small initial investment; however, you’ll quickly get the hang of it, and realize that it is a cost-effective way to enjoy the healthful benefits of kombucha every day. This entry was posted in Cooking Tips, Food Guides, Health and Safety, Recipes and tagged health, healthy food, tea. Bookmark the permalink.